WASHINGTON — Under the Trump administration’s Remain in Mexico policy, 240 asylum-seekers have been turned around near San Diego and sent back to Mexico where they must wait until a U.S. immigration judge can hear their case, Department of Homeland Security officials said Tuesday. The policy, also known as Migration Protection Protocols, has been in place since late January and is designed to curb the number of asylum-seekers the agency must detain or track while they wait months or years for their court hearings. Immigration advocates say it is a violation of international law to make asylum-seekers wait in unsafe conditions in Mexico. 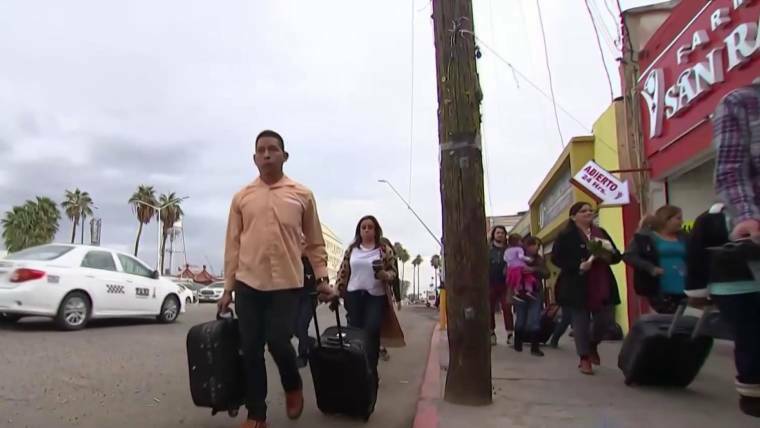 The policy began at the San Ysidro port of entry, near Tijuana, but has expanded within the last week to include migrants crossing at additional ports of entry in the San Diego sector and at the Calexico, California, port of entry. A Homeland Security official estimated the number of immigrants stopped as they were crossing between the ports of entry to be less than 10.